Briefing members of the United Nations Security Council here the other day, UN Secretary General’s Special Representative for Afghanistan, Tadamichi Yamamoto said the UN commends the people of Afghanistan who defied the threats of the Taliban to exercise their fundamental rights to vote in the October 20 parliamentary elections. “We commend the courage and strong will of the people of Afghanistan to have defied the threat of the Taliban to exercise their fundamental rights to vote,” Yamamoto told the UNSC members in New York on Monday. During the parliamentary elections, Afghan voters strongly conveyed a clear message to all the terrorist groups that they will not let them win in the country. 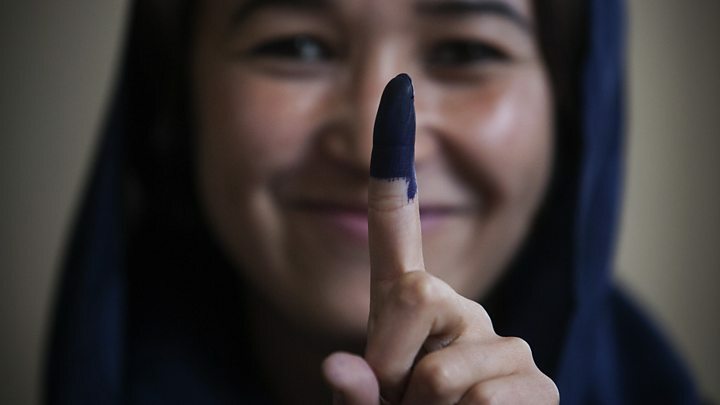 Many have termed this as an act of bravery to vote in Afghan elections. In many polling stations the crowds were even larger this time than past elections. Considering the security conditions in the country, many believing even conducting this election is an achievement: It showed that Afghan officials and security forces can do it, and to usher in a more legitimate parliament to replace a discredited assembly and pushing to move toward presidential elections in 2019 and Taliban peace talks. Pointing to upcoming presidential elections, the UN envoy said: “The people of Afghanistan will also make a critical political choice next year for their president. These elections are essential steps as they walk on the path to firmly establishing a representative democracy. “When we look at the elections this year, it is necessary to realize that the preparations and implementation, as well as the management of security were primarily conducted by the Afghan people with only assistance and advice from international experts. Compared to the elections in 2005 when 550 international experts were responsible for the implementation of the elections, this year only around 60 international experts participated in the advisory capacity. Also, this year the Government of Afghanistan bore more costs than in the past. The international contribution decreased from approximately US$140 million in 2014 to $60 million this year,” he said. For Afghans to have a better life, employment opportunities, education and an end to the war with the Taliban and other terrorists, the parliamentary elections seemed as strategic means to ensure them. Meanwhile, for the country’s foreign partners, seeing a flourishing democracy would be the result they’re seeking after many years of investment, billions of dollars spent, and thousands of lives lost in more than a decade of fighting in Afghanistan. Therefore, they have seriously backed holding the parliamentary elections and urged the Afghan government and electoral commissions to conduct it in a transparent, fair, free and credible manner as well as hold the upcoming presidential elections on its due time. The overall support of the international community, high peoples’ turn out and overall relatively good security were the strong points of parliamentary elections, but problems in electoral management and the biometric system as well as delay in delivery of the electoral materials have been the main weaknesses that require to be addressed properly in the coming presidential elections.